Love the sound of two-stroke in the morning? 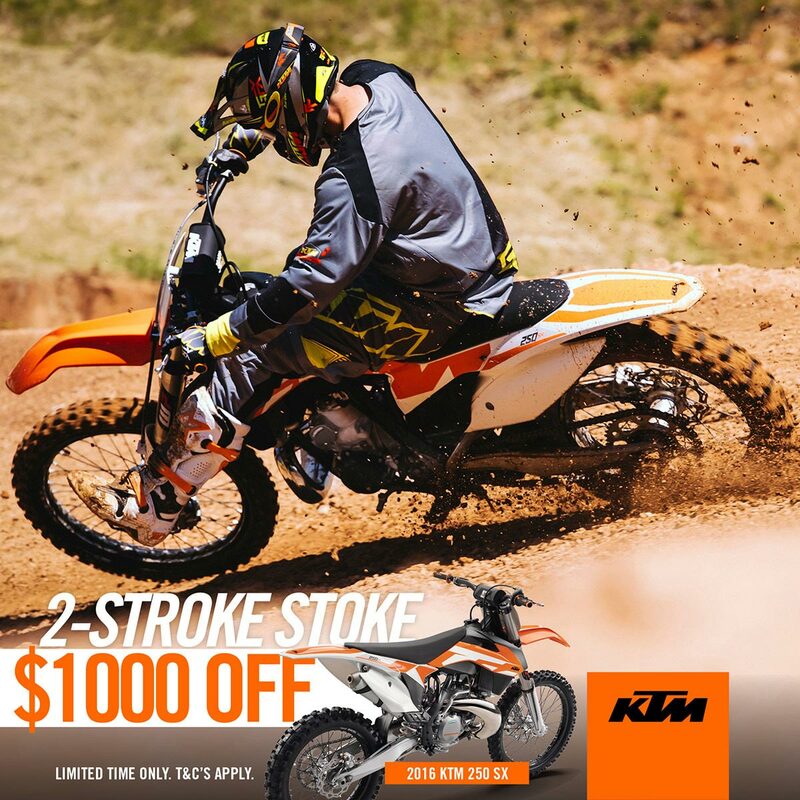 There’s nothing nicer, except maybe the knowledge that you got onto yours a full $1000 cheaper thanks to KTM Australia’s Two-Stroke Stoke offer. 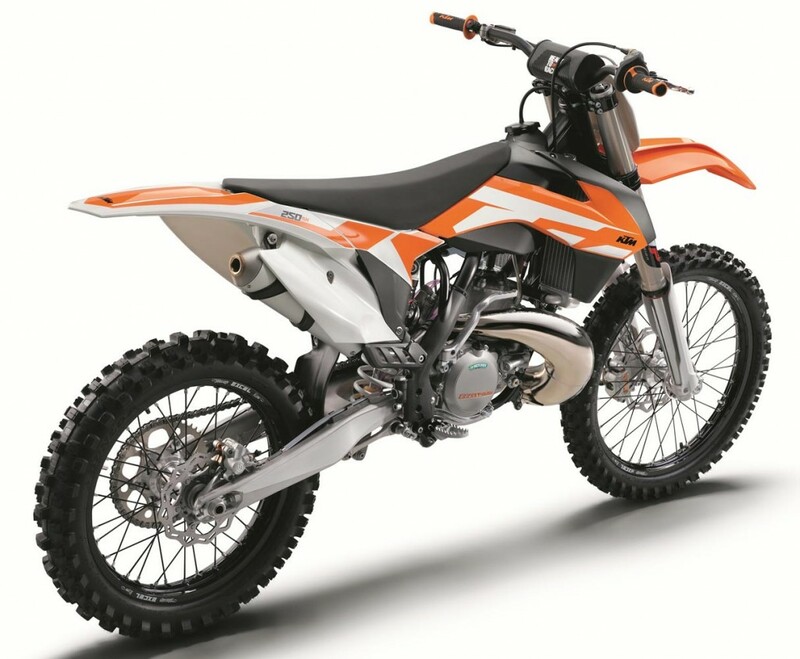 Until they’re all gone, you can get on to a brand new 2016 KTM 250SX 2-stroke from your local participating dealer at $1K under the regular retail. KTM’s 250SX is a thing of simple, uncompromising dirt bike supremacy. 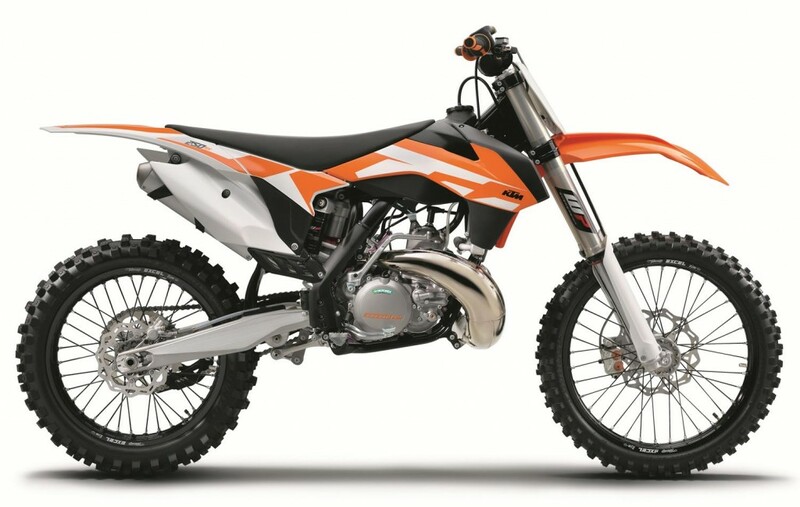 KTM has continued to push the development of 2-strokes long after other manufacturers have stagnated or ceased production entirely and the results are plain to see. The bike is a lightweight power house that’s all kinds of fun to ride, simple and cheap to maintain and still a legitimately fast way from A to B if there’s a motocross track involved in the journey. How fast? Well, ask 19-year-old MX2 rookie Jayden Rykers, who braaaped his Davey Motorsports 250SX onto the podium at the last round of the MX Nationals at Wanneroo against the factory four-strokes! Best of all, the 250SX can do all this and more – and make the sweetest music in the game while doing it. Get your stoke on a two-stroke, with KTM’s 2-Stroke Stoke offer. 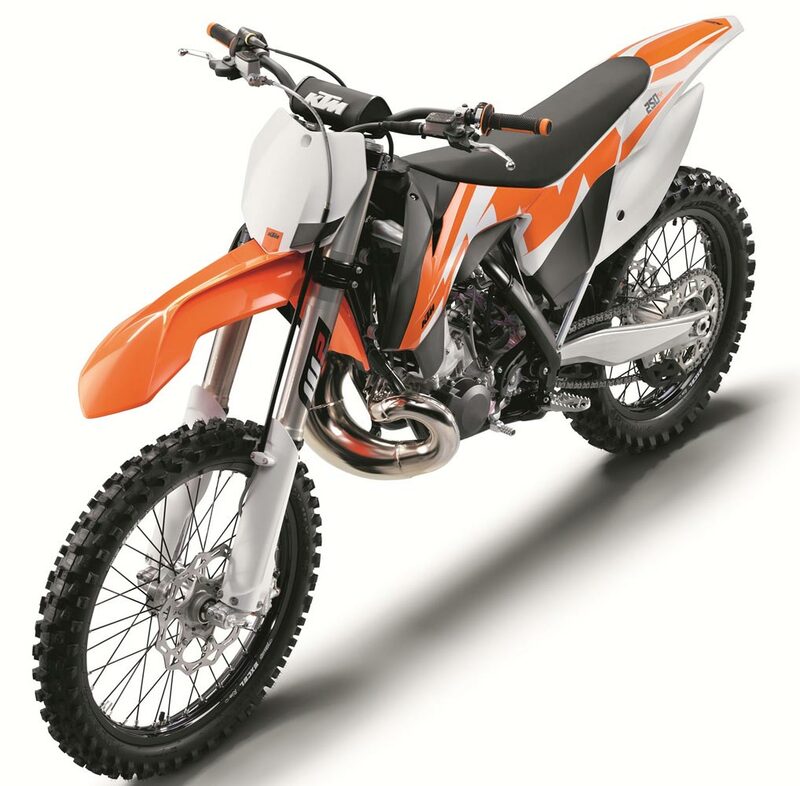 At participating dealers, but only while stokes, er, stocks last, so to get onto this deal, you’ll need to be just like your new KTM 250SX – Quick. Caption: Love the sound of two-stroke in the morning? While stocks last you can get onto a brand new MY16 KTM 250SX 2-stroke from your local participating dealer at $1K under the regular retail.